The Mekong Delta province of Dong Thap will invest 90 billion VND (4 million USD) to develop sustainable ecological tourism in Tram Chim National Park in 2016-2020. The money will be used to develop infrastructure, including roads connecting the centre of the park to tourist sites in zones A1, A2, A3, A4, A5, to dredge lakes and canals and preserve and upgrade tourism resources. 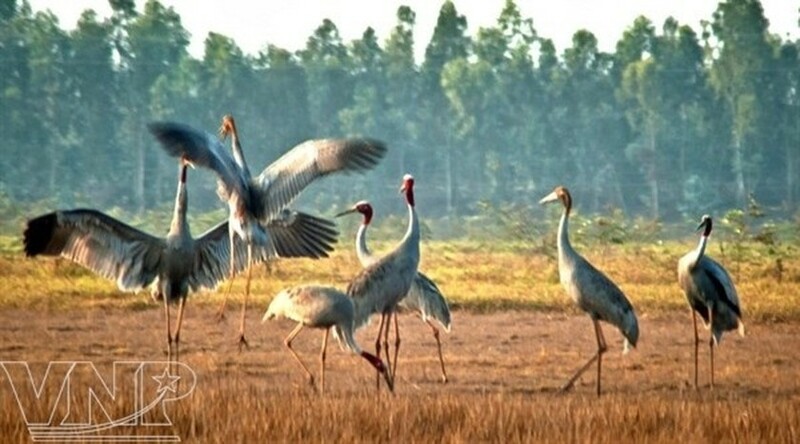 Nguyen Van Duong, Chairman of the Dong Thap People’s Committee, said the investment aims to develop ecological tourism in association with protection, preservation and sustainable development of the park and the protection of rare bird species. Tram Chim National Park has a total area of 7,313 hectares. It boasts a diverse range of plants with over 130 different species and animals with 129 fresh fish species and 198 water bird species. Established in 1985, the Tram Chim National Park, located in Tam Nong district of Dong Thap province, becomes a national park in 1988 and the world’s 2000th Ramsar site in 2012. It is also the fourth Ramsar site in Vietnam.